HeatAuthority.com is able to offer quality made, safety certified explosion proof tote heaters made in the USA and the UK. These heaters are tried and tested and will perform to your satisfaction. Intrinsically safe, explosion proof, certified safe and effective tote heating in hazardous area locations. Safely heat your flammable liquids and materials with names like Powerblanket and ThermoSafe. The #1 names in intrinsically safe and explosion-proof industrial heating. Our hazardous location products are listed for use in Class 1 Division 1 & 2; Groups A, B, C & D Hazardous Environments. 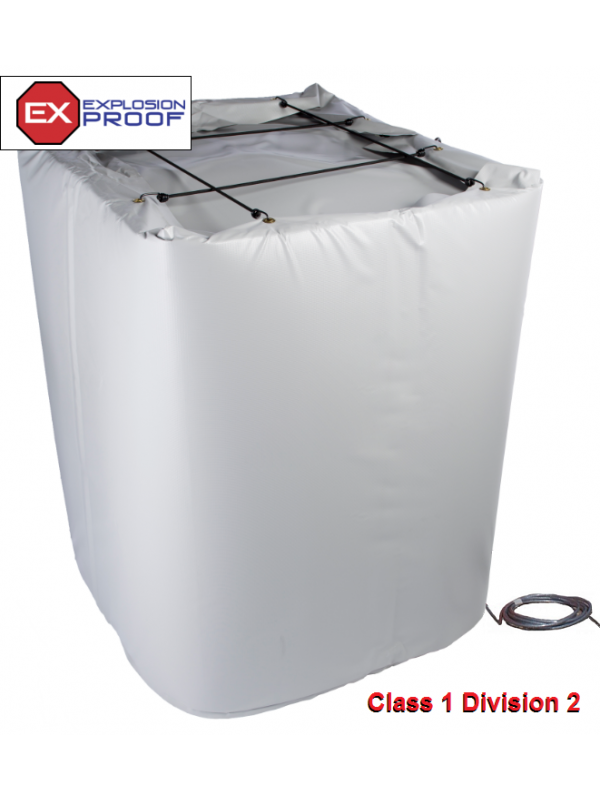 HeatAuthority.com can provide Explosion Proof certified heaters for ALL standard sized totes. We can also provide custom sizes depending on your requirements. Give us a call to discuss your specific needs. Visit our website, give us a call or drop us an email for pricing and availability. One of our helpful team specialists will assist you in resolving any questions you may have. We know the industry and we can provide quality products with certification on ALL of our Class1, Zone1, Division 1 & 2 Explosion Proof Tote Heaters. In-Stock & Ready for Immediate Shipment!